During the indie rock revolution of the 2000s few bands have conjured the level of rabid fan devotion that The National have. The Brooklyn septet return next week to quench our thirst with their new studio album Trouble Will Find Me. They've pulled out all of the stops this time around, recruiting such indie luminaries as Sufjan Stevens, Sharon Van Etten, St Vincent, and the Arcade Fire's Richard Reed Parry to lend their varying talents. The themes of Trouble Will Find Me will be familiar. Heck, the title attempts to hide nothing. Melancholy, triumph, resignation, and hopefulness can be found throughout, sometimes, like on "Fireproof", all in the course of one song. Like many of the band's previous songs, this set tend to be slow builders. The opener, "I Should Live in Salt", for example, begins with a slow strum and evolves, almost unnoticed, into a grand crescendo. Hurried, trampling percussion on "Graceless" grows steadily, then erupts to epic heights. Matt Berninger's baritone is centre stage as always. The dark, near-mumble of "Demons" is the culmination of the sound perfected on Boxer and High Violet. It's sleepier and more stripped down on tracks like "Slipped" and the closer "Hard To Find". One of the hallmark's of The National's music is their use of tension to manipulate the emotions of their listeners. That device is employed several times on the record, none better than on the smoldering "I Need My Girl". A hypnotic drum and slightly whimsical guitar line mesh with those vocals for soul-soothing results on "This Is the Last Time". The use of recurring themes (some would call it recycling), be it a lyric or an arrangement, has always been a penchant of The National. These small threads pull together separate albums, working like a long-running plot point on an episodic television drama. In this instance, the swirling waters of "Sea of Love" become a crashing rush, repeating the climax of High Violet's "Terrible Love". A brighter moment comes courtesy of "Don't Swallow the Cap". The faster-paced number encapsulates the moroseness in a glossier shell, thanks to the contributions of some of the guest musicians. 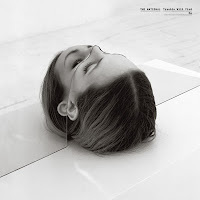 There's not much on Trouble Will Find Me that we haven't heard before from The National. Fortunately, just because we've heard it all before doesn't mean it's not good. The National play a free show at Yonge-Dundas Square in Toronto on June 14th as part of NXNE. Best tracks: "Sea of Love", "Graceless"